You will find an impressive variety of Microgaming video poker games - more than 50 if you include all the Power Poker multi hand games, such as 10 hand Aces and Faces or 100 hand Jacks or Better, which allow players to play up to 100 hands simultaneously. Interesting varieties of standard games are offered, where certain cards are wild. Games like Double Double bonus poker have extra winning possibilities. Take a look at the list to see all the video poker games with their main attributes. Here are the payout percentages for some of the most popular Microgaming video poker games. The percentages are quite high - showing that you can potentially achieve a good return on your money - and can be increased even further by making use of video poker strategy. Calling all Video Poker kings and queens to Trada Casino! Microgaming's large portfolio of video poker would not be complete without a progressive jackpot game and, in fact, the company has two to offer players. The first, Jackpot Deuces Poker is a single hand video poker game, with a maximum 5 coin bet. To be eligible to win the game's enormous jackpot, you must bet the max. Your objective is to assemble the best possible 5 card poker hand. To win the top jackpot, you will need a "Diamond Royal Flush," composed of the 10, Jack, Queen, King and Ace of diamonds. The second progressive jackpot video poker game, SupaJax, is based on the familiar favorite Jacks or Better. Once again you must bet the maximum 5 coins to have a chance at the giant progressive jackpot. Four jacks plus the exclusive SupaJax card are the winning combination you are looking for here. 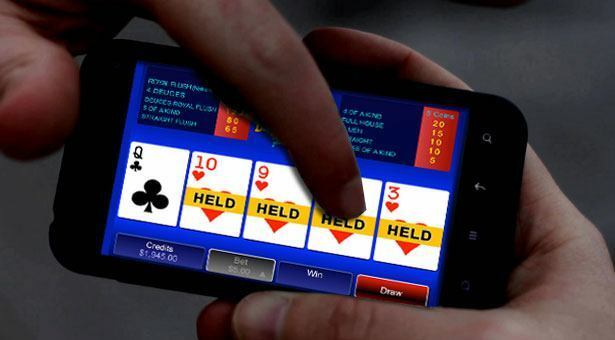 If you are thinking of signing up with a particular casino in hopes of receiving a hefty bonus and then concentrating on your video poker game, you may be headed down the wrong track. Take a good look at the terms and conditions page of the casino you have your eye on, and see what the wagering requirements are for the welcome bonus. Then find out which games can be played to fulfill these requirements. Video poker may not qualify at all, or it may be counted as a reduced percentage. For example, 100 percent of your slots play may go toward the wagering requirements; however, only 80 percent of video poker play might be counted.